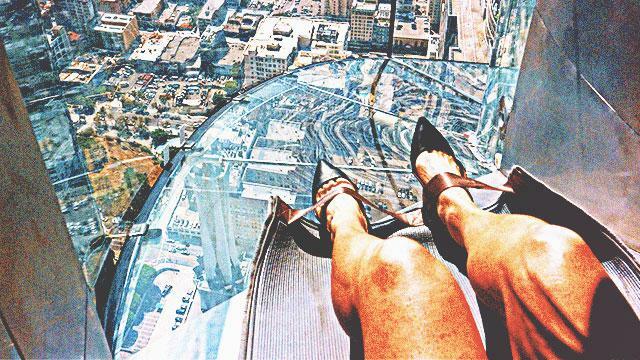 Would You Dare Go Down The Most Terrifying Glass Slide Ever? Adventure-seekers, you have another thing to add on your bucket list. A glass slide fixed 1,000 feet (305 meters) up on the outside of a skyscraper in Los Angeles opened to the public just this weekend. They're calling it the Skyslide. 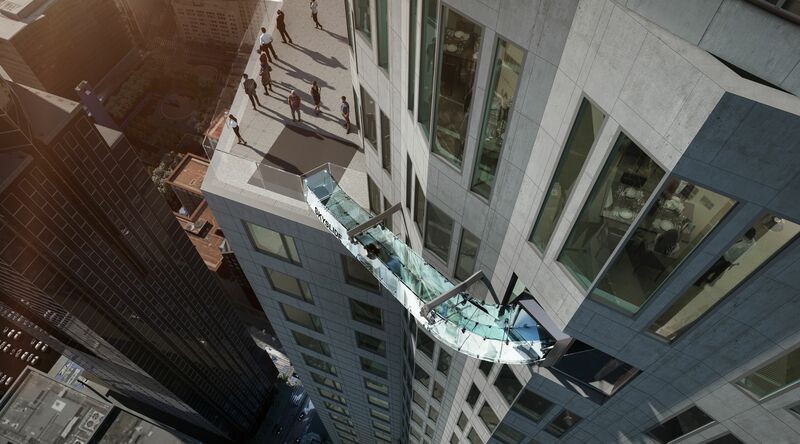 Skyslide is an outdoor glass slide positioned way up high downtown Los Angeles. The slide is 45 feet long, approximately four feet wide, and made entirely with 1 1/4 inches thick glass. Get to experience LA's unparalleled view in a whole new way as you glide from the 70th to the 69th floor of the US Bank Tower. Daredevils can pay $25 (around P1,200) to slide down this bulletproof glass (and $8 if you want a second round). Despite being made of glass, it is built to withstand hurricane-force winds and earthquakes according to reports. The Skyslide is a part of OUE Skyspace LA, a rooftop observatory that gives visitors a 360-degree view of the city. The experience is perfect for those who want a high vantage point to view the expanding metropolis, while the slide is for those who don’t think the view's enough.